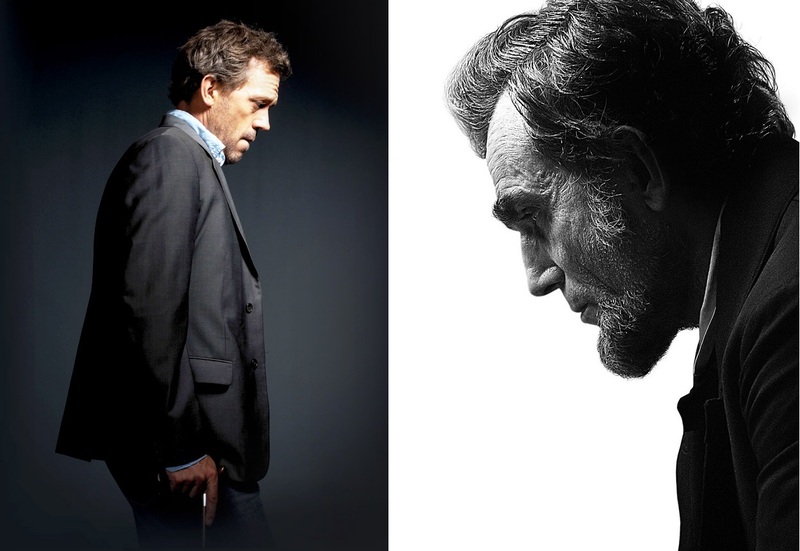 As a glorification of a popular historical figure, Spielberg’s Lincoln thankfully added depth and complexity to the often two-dimensional hero. Early on Lincoln delivered a particularly inspired monologue on the Emancipation Proclamation in which he probed the legal and ethical ambiguities of the wartime measure. When positioned in opposition to the delightfully radical Thaddeus Stevens, we saw Lincoln as a pragmatic compromiser rather than a true bastion of civil rights. Between Daniel Day Lewis’s superb acting chops and Spielberg’s engrossing filmography, Lincoln presented a rather engaging portrait of the sixteenth president. Yet for a movie focusing on Lincoln’s position on slavery at the end of the Civil War, African American voices were conspicuously absent. The film spent seemingly eternal screen time indulging Lincoln in his mumbling storytelling safaris. At the outset of one of Lincoln’s longwinded tales, Secretary of War Stanton threw up his hands and exited, exclaiming that he didn’t have time for another story. I nearly did the same. As one of many who can’t identify with the old white guy in power, I grew tired of ramblings that only held relevance in the white political sphere. However troubled or eccentric Lincoln appeared, Spielberg nevertheless portrayed him as the image of white masculine genius. Lincoln essentially received the House treatment. The troublesome reality, however, is that slavery was more than a tricky political issue for Lincoln to navigate. It was also a very real and powerful institution with pervasive consequences for thousands of people. In the midst of one of Lincoln’s self aggrandizing speeches, Spielberg could have shown a scene of slavery or even another battle scene. Better yet, he could have incorporated examples in which free and enslaved African Americans worked to end slavery while Lincoln waxed on about moral compasses. Lincoln needed to emphasize the isolation of Abe from the realities of slavery as an institution and the active role African Americans took in their own emancipation. Instead, Spielberg provided a few token black characters. The resident African Americans and White House laborers, Mrs. Keckley and Slade, received very little dialogue. In fact, Slade had a near-silent servant role straight out of a 1950s movie. Keckley, on the other hand, played an important role as an observer in the House of Representatives. The camera frequently focused on her emotional reaction in case the audience needed a gauge on how black people might have felt about the goings-on. I nearly spit out my popcorn when Lincoln blatantly asked her how “her people” felt about the amendment. Lincoln painfully reprised the role of the well-meaning but painfully ignorant teacher calling out the one black student in class to explain some universal African American experience. The absurdity of Lincoln reached a climax during the House of Representatives vote on abolishing slavery. The political farce featured insulated white male politicians with appropriately entertaining facial hair hurling comedic insults at one another. The irreverent tone in the midst of a critical vote was not highlighted as irony; it was self contained as comedy. The theater audience heartily chuckled as Democrats struggled to vote in favor of the amendment. It was hilarious watching these cowardly representatives bare the wrath of their fellow racists as they cashed in a vote in return for cushy government jobs. The interjecting shots of various groups following the vote revealed more white faces following the political drama. We didn’t even get emotion shots of the black people in the gallery brought in to guilt the representatives. The representation of the vote on the thirteenth amendment confirms Lincoln as a dramatized celebration of white masculinity. Lincoln had a valuable opportunity to tell a compelling and provocative story to a gigantic audience. It took me three attempts to find a showing that wasn’t sold out. Despite a nuanced narrative and aesthetically pleasing imagery, Lincoln ultimately served as a glorification of Great White Man history. The film could have assumed the pragmatic position of Lincoln by creating a rail splitting moment that drew in Lincoln enthusiasts and introduced non-white and non-male voices in order to show the implications and limits of Lincoln’s positionality. But Lincoln failed to do even that. Therefore, the Thaddeus Stevens within me demands a movie that employs a token Lincoln to highlight the complicated stories of free and enslaved African Americans for whom the question of slavery and the Civil War meant more than a political game. Well written article that brings up some great points, but I somewhat disagree. You mentioned that ” I nearly spit out my popcorn when Lincoln blatantly asked her how “her people” felt about the amendment. Lincoln painfully reprises the role of the well-meaning but painfully ignorant teacher calling out the one black student in class to explain some universal African American experience.” Gloria Ruben’s Mrs. Keckley sees that too and her response to Lincoln is about her personal experience and how she’s a mother who lost her son and not some token black person sent to him in order to sum up slavery or the black experience for him. Personally, I think Ruben’s the one actor in the movie who managed to steal the limelight from Day-Lewis. He’s in the frame with her and amazing as Lincoln, but in the moment all eyes are on her (and rightly so). As a historian who happens to be black (MA in American history) I didn’t have a problem with this tale of the passing of the 13th amendment. It’s mentioned in the article that the film failed to show the “active role African Americans took in their own emancipation”. I think that’s exactly what Spielberg had in mind. By doing this I think the viewer gets a sense on how frustrating it must have been to sit on the sidelines and wait for the “old white guy in power” to grant them their own freedom. Did blacks have a role in getting their freedom? Yes. But at the end of the day they still had to wait for the “white guys in power” to pass the needed laws first and that’s what I think this movie is trying to portray. Lincoln’s conversation with Ms. Keckley is important because it reveals that the Great Man is not perfect. He’s still racist, though he’s fighting for what’s right. Rewriting history so that Lincoln was better than he was is for fiction. Rewriting history so that Old White Guys weren’t oppressing people is fiction.